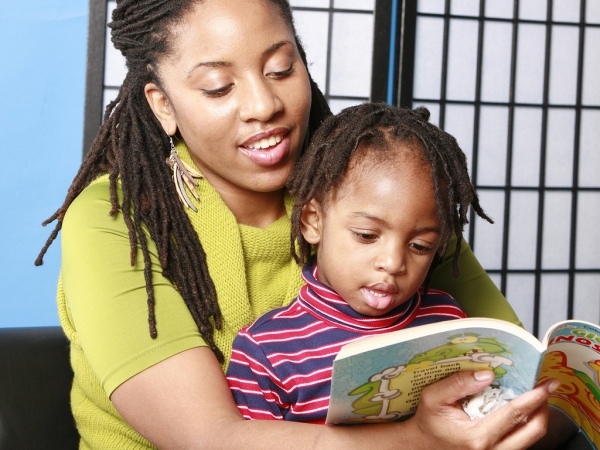 Most moms are happy to hear their kids say, “Please read this to me, Mom!” It normally indicates they’ve found a book they enjoy and therefore are cultivating a love for books and reading. But how can you help your child take pleasure in reading? Here are the Nal’ibali National Reading-for-Enjoyment campaign’s top tips. Choosing books Let your children choose which books they want you to read sometimes. Other times, talk together about the books to choose and suggest ones you think will suit their interests. Timing is everything Share stories at times when your children find it easy to settle down such as after bath time or just before they go to sleep at night. Younger children may find it difficult to concentrate for long periods of time so don’t read for too long. Remember you want to encourage them to develop an interest in stories and books, so don’t make it a chore. Don’t skip the cover Read the title of the book and the name of the author and illustrator each time you read a book. This helps them to know real people just like them write and illustrate stories. Ask questions As you read the story, ask open-ended questions about it. “What do you think will happen next?” is a great question to help children develop their prediction skills which are essential to being a successful and independent reader. Read it again! If your children ask you to read a story again . . . and again and again, do it. This allows them to discover new things about the story each time. Reading together is for older children too. Once children can read, you don’t have to stop reading to them. Choose books that are more difficult and complex than the ones they can read on their own. These tips were provided courtesy of the Nal’ibali National Reading-for-Enjoyment campaign – aimed at sparking children’s potential through reading and storytelling. For more information, reading tips and story ideas to share with your children or reading clubs, go to Nal’ibali’s website or find Nal’ibali on Facebook or Twitter.